Live Oak Bank specializes in financing for wineries, vineyards, craft breweries, craft distilleries and ancillary businesses nationwide. Our team leverages 75+ years of lending expertise with deep industry knowledge to give you a range of financial solutions. Funds can be used for expansion, acquisition, refinancing, equipment purchases, working capital, construction and more. Our wine and craft beverage loans will be customized to fit your business needs. As a fully committed partner, Live Oak helps you keep more of your money so you can reach your business goals. Jeff Clark, industry expert for the Wine and Craft Beverage Lending group at Live Oak Bank, has been in the industry for more than 20 years and has seen the growth in the demand for financing. There is money available for wineries and vineyards. Access to capital is relatively inexpensive. Moving forward with an expansion would be ideal in a market like this. Live Oak advises small wineries to consider a Small Business Administration (SBA) loan. The SBA acts like an insurance company, allowing the bank to extend its conventional credit reach. SBA loans tend to be borrower-friendly, flexible to equity and collateral requirements, have longer terms and no balloons or covenants. Live Oak Bank has made small business loans a focus of its work since 2008. Today, it is one of the top originators of small business loans in the entire country. Live Oak also offers industry finance news, expert interviews, blog posts about wine and craft beverage lending, tips and more. Visit www.liveoakbank.com/wcb to learn more or contact Jeff to discuss your loan options. Through good times and bad, farmers, ranchers and agribusinesses need a lending institution that not only is there, but also completely understands what is going on in your industry. Our knowledgeable loan officers specialize exclusively in the business of agriculture. For over 100 years we've built an outstanding reputation by offering the right products at the lowest possible cost. At the Templeton branch, we focus on meeting your banking needs. Whether you’re seeking business lending, want to open personal checking or savings accounts, or need help managing your wealth, our bankers will give you personal attention and local expertise, near the corner of Las Tablas Road and Bennett Way. Our branch manager Becky Paulos personally invites you to visit us and let us help you meet your banking goals. We’re passionate about helping our local communities grow, and that starts at the customer level, with you. Come see us at the Templeton branch today and let us help you reach your personal banking milestones. A not-for-profit cooperative serving the entire Central Coast region. Credit union members can typically count on lower loan rates and free or low-cost financial services. If you’re looking for payment stability, our fixed rate First Trust Deed loans offer 10, 15, 20, and 30 year terms. As one of the Central Coast’s premier lenders, we have conforming and non-conforming mortgages in the San Luis Obispo and Santa Maria area. An ARM may be good a good solution if you plan to buy or sell your home in the near future. The rate on this loan adjusts (changes) every 2 or 5 years after an initial “fixed” period. This provides an initial interest rate that is significantly below the market rate for a 30-year fixed rate mortgage. With an ARM, your payments can change after the initial fixed period depending on rates at that time. Our most popular ARM is a 5/5 Hybrid ARM, and is a great first mortgage option. This innovative loan offers no closing costs, has a 5.00% lifetime cap increase over the original rate, and the rate only adjusts every five years. All loans are subject to approval. You’re going to love this one. Finance your home with a 30-year mortgage that adjusts only once after the first 15 years. It’s that easy! If you’re like most homebuyers, there’s a good chance that you’ll move again or refinance within 15 years. That makes our “two-step” 15/15 Hybrid ARM a smart way to combine today’s low rates with stable payments tomorrow. This fantastic product also has a No Closing Cost option available, making a home loan easier than ever. All loans are subject to approval. We've got the ticket! With a jumbo loan from CoastHills, you're free to live big... really big. If you have your eye on a large home or want to refinance an existing property, our low rates and competitive terms can make it all possible. You'll find a lot to love with our jumbo loans including, competitive, low rates, refinance options, borrow up to $2 million, no origination fee, and more! Get the home you've always wanted at a rate you can afford. 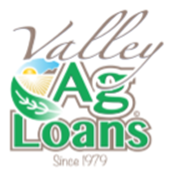 Peter Holmes, Jr., AAC Valley Ag Loans, Inc.
Our company specializes in agricultural loans and is unique in that we are a loan correspondent for several lenders so can offer a wide spectrum of different options to our customers.